The latest droolworthy drinks over at liqurious. 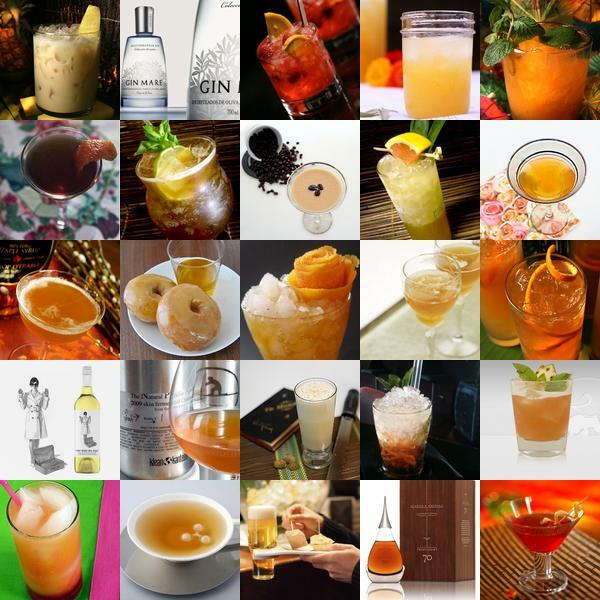 Click on the images to find out more about each drink. 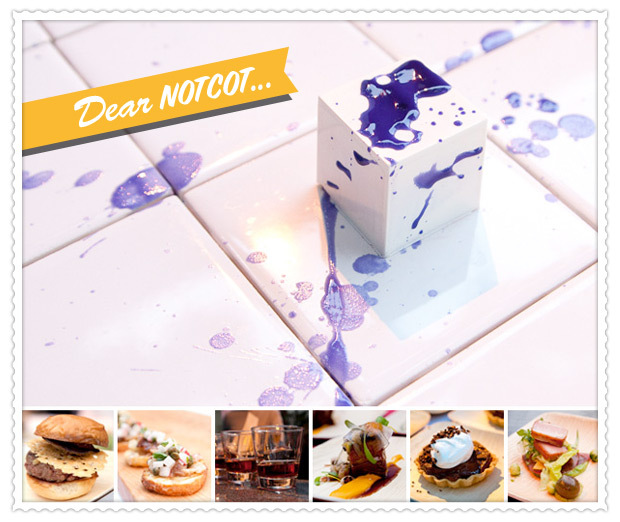 The latest in the Dear NOTCOT guest posts… here’s one from my old friend, Jackson Stakeman, who just might become our food editor… if we’re lucky! He was kind enough to help attend what sounds like a delicious event, and being a professional photographer AND food connoisseur, his pics are looking awesomely scrumptious! Laid out underneath the enormous iconic tree of the Santa Monica Fairmont Hotel, StarChefs held its annual Rising Stars Revue. Tables were laid out in a massive ring, and there was fabulous food and drink in all directions. Being there an hour just before sunset, there was a lot of running around trying to photograph everything before losing the perfect light. The food was fantastic, these rising stars were picked for a good reason, there was lots of amazing tastes, and fun playful ideas as you went table to table. The surprising and minimalist cube sculpture above is actually Jordan Kahn’s violet sauce topped white chocolate cube filled with cream a sponge cake served on a white kitchen tile. Equally amazing was having the chance to experience such a variety of dishes and drink pairings all in one event. It was also a great opportunity to watch many of this year’s rising star chefs prepare these delicacies before my eyes. Culinary interests aside, the plates were also especially NOTCOT worthy. All of the 13,000 plates were provided by Verterra, whose compostable disposable dinnerware are not only beautiful, but made from fallen leaves! Popped by the Architizer launch party tonight at the A+D Museum (major work in progress going on across the street from LACMA) ~ and then the Cool Haus Ice Cream Truck came! And it was ice cream for dinner…Architectural ice cream! From Richard Meyer Lemon to Frank Behry and Rem “Coolhaus”… the imagery for the Cool Haus brand of architecturally inspired ice cream is adorable… sadly the ice cream cookie sandwiches are just normal looking… i secretly hoped for a plate with a fake lawn and a cookie sandwich shaped like a house… that i could then decorate with doors and windows of sugary faux-glass panes? Take a peek at the scene and the truck and my cookies and cream smooshed between oatmeal raisin cookies on the next page! p.s. the paper is edible, they’ll even let you print your own logo on it… but just because its edible doesn’t mean it tastes good! 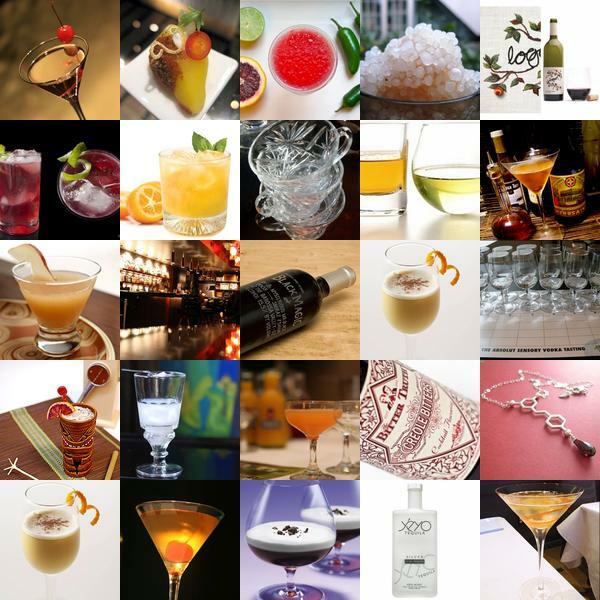 Here are just a few of the delicious drinks over on Liqurious. Just click the images to find out more. Crips - better than crisps! 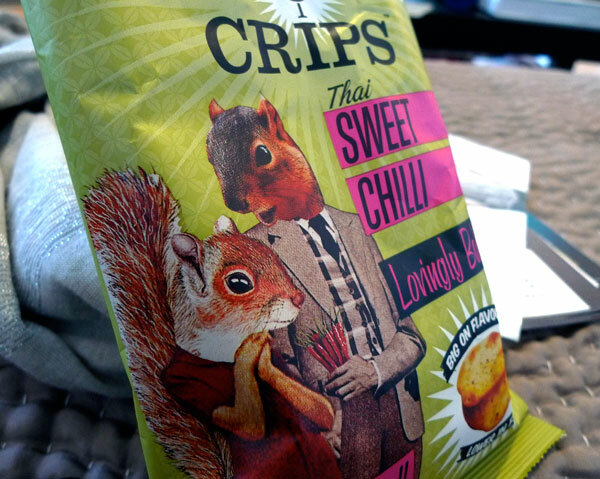 How can you resist squirrels… on retro fabulous bodies… on a bag of not-crisps… holding sweet chillis? The graphics were just too irresistible not to buy a bag of the baked goodness when we were at Waitrose earlier. 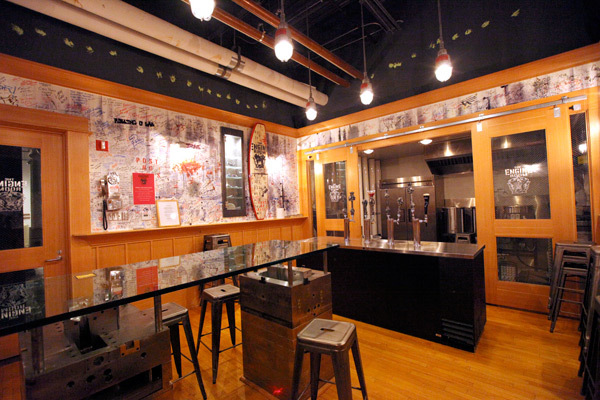 And then upon discovering their website, there are even MORE fun graphics, and the most adorable site as well. So take a peek at my Crips on the next page… pics of the bag and snacks themselves as well as a look at their beautifully laid out newsletter and site! 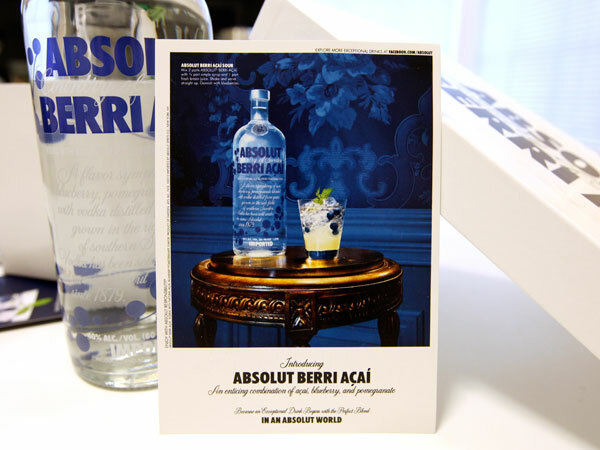 On fun things that showed up before i left for NY/London ~ a super sized Absolut shoe box of sorts filled with their new Absolut Berri Acai! A whole giant liter of the delectable new liquor appeared buffered by crunchy purple padding, adorned with a few recipes… It’s quite refreshingly yummy mix of acai, blueberry, and pomegranate ~ in that fruity healthy sort of way! See the unboxing and recipes on the next page! 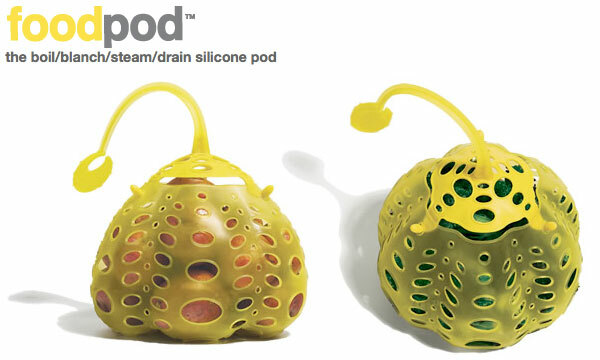 Fusion Brands’ FoodPod ~ i ran into it at A+R and it was so odd, i couldn’t stop poking at it. Then i had to buy it. It’s another silicon creation from Fusion Brands to help in the kitchen… they are certainly creative with their ability to solve problems i didn’t even realize i had. Like keeping my veggies/eggs separate from other things, or together in the pot for easy removal… here you can fill the FoodPod with just about anything… and then you can dunk it into your boiling pot of water, and even hook the angler fish looking top to the lip of the pot for easy retrieval! 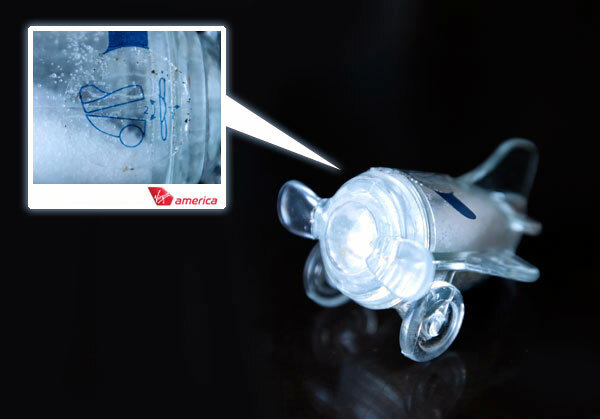 lift and autostrain ~ unhook the cap, and your food is ready! See more pics of it on the next page! 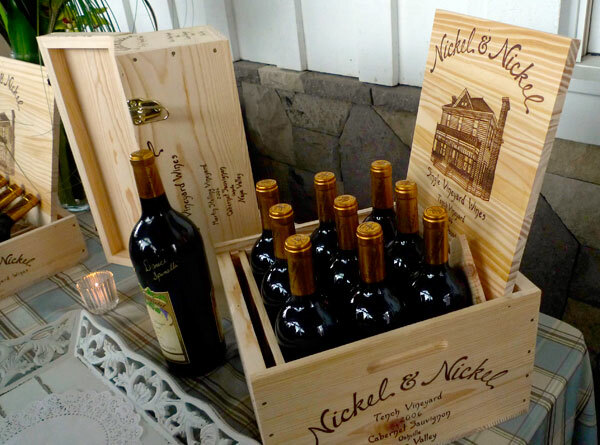 Who knew wine in a bag could be so… designer? functional? pretty? Or that a decanter could aerate and feed the wine right back into the bottle? Leave it to Danish company MENU to help us rethink the way we interact with our wine! I love the the Wine Breather Carafe ~ which can be used either by attaching it to the bottle, and flipping it… then flipping it back into the bottle, OR serving it out of the carafe. It’s designed by Norm, idea and patent by Peter Orsig. 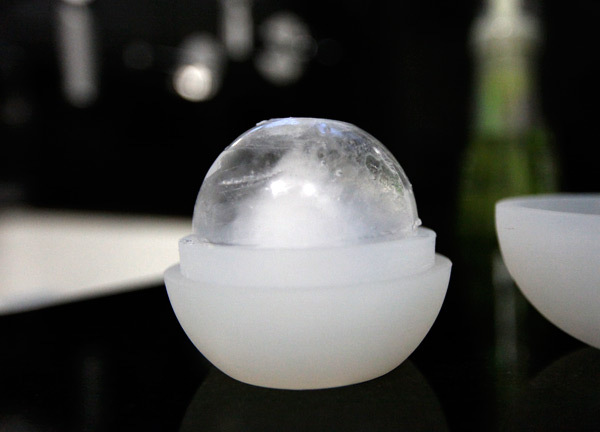 (Doesn’t the shape remind you of those adorable Aladdin sake bottles?) Also fun is the Baggy Wine Coat designed by Jakob Wagner ~ wine in a bag never looked so ruggedly high tech. Also cute in the new collection ~ Norm’s stackable, spherical, tripod set for condiments! So playful, they’d be delightful in a restaurant! Take a peek at all of these up close on the next page! Wow. 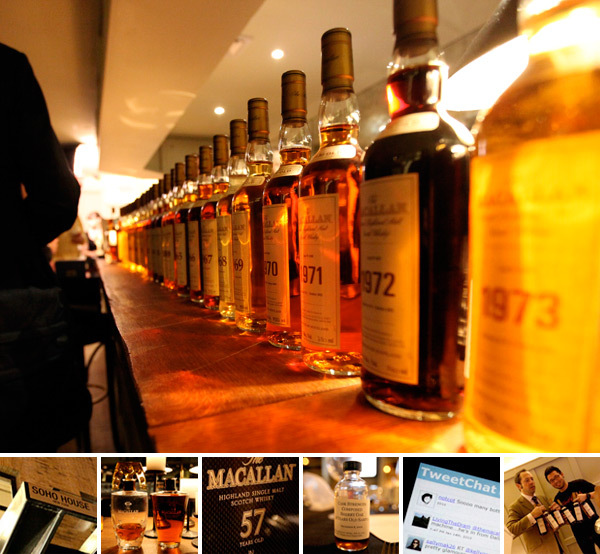 This has definitely been a whirlwind of a week or so, and a very Macallan filled month! A week and a half ago, i thought tasting the 50 and 52 year old Macallan were the oldest my lips may ever touch, but little did i know that this week i’d be sipping the 57 yr old Macallan! Tuesday night was a NOTCOT first. I’ve never played host at a party before! But when Macallan and the W Los Angeles approached me to co-host a party with Julie Wolfson, saying they’d take care of the details, we just had to invite some friends to come indulge with us, how could i say no? Despite the rainy night (which cleared up mid way through the party so we finally got to sneak outside and enjoy the brisk night air, curl up by the fireplace, and smoke cigars while sipping Macallan into the night), we had a great turn out. And as you know, Macallan loves twitter (in fact, our other co-host, The Macallan West Coast Ambassador, Eden Algie ~ just joined twitter, please follow him and message him to convince him to let us throw another LA party! )… so once again live tweeting was up on the screen during the party, and people were tweeting up quite a storm with #macallan (you can see my favorites on the next page! 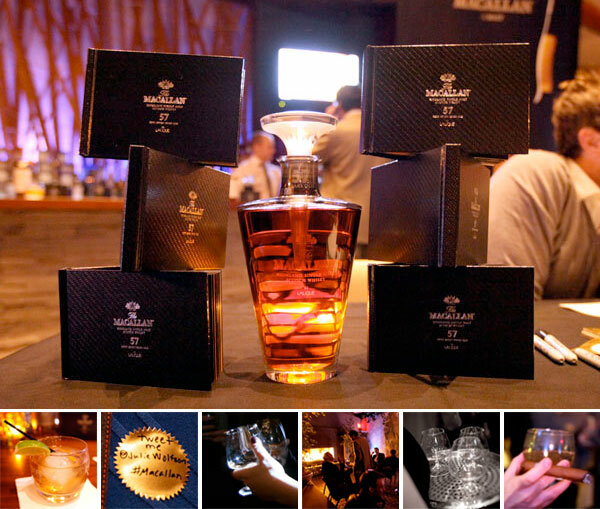 )… one of the highlights of the night was definitely getting to taste the 57 year Macallan in a Lalique crystal decanter… take a peek at the festivities, as well as some of the great coverage and photography to emerge from the event so far! So many adventures today! So many firsts! And finally met so many incredible people i’ve talked to for years digitally… but even with all the Altitude Summit madness underway, i couldn’t resist hopping in a car to check out the Absolut Vodka filmmakers of the first ever Sundance Opening Shorts Program party at Easy Street’s The Sky Lodge in Park City presenting “I’m Here: A Love Story In An Absolut World”, a short film directed by Spike Jonze. And while it may be 2:30am… and i’m freshly curled up in a hotel room robe photoshopping into the night as usual… and needing to put the finishing touches on the 8am keynote panel presentation i’m doing with the lovely Grace Bonney of Design*Sponge, Maxwell Gillingham-Ryan of Apartment Therapy, and Heather Armstrong of Dooce… how could i pass up sharing the magical snowy wonderland i crossed the mountains to experience before my nap? From ice furniture (made by Newport Beach’s Ice Bulb) out in the patio, in the snow, with heat lamps and a fire going… to the first cosmo i’ve had made with SNOW… and peppar-y icey shots with salted cherry tomatoes to keep me warm… and some of the biggest Absolut bottles beautifully lit from below and glowing like lavalamps… and endless beautiful hors d’œuvres circulating… I know i’ve stated on twitter that i nearly avoided real “winter” all together this year, but i’m really glad Altitude Summit and Absolut brought me out to Utah this weekend and let me experience what i hear will be some of the most incredible powder of the season. So take a peek at the next page for how fun it was… and i guess i should go take a little nap before the talk! p.s. 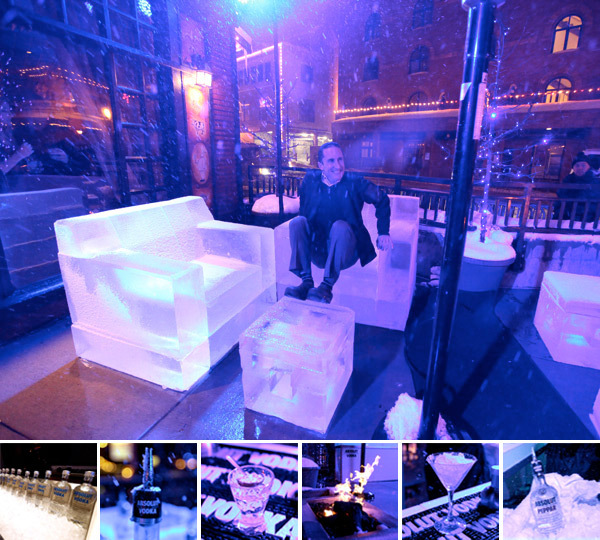 The Icebar was one thing… but the Ice Furniture outdoors with fire in the snow… were dare i say, even more unforgettable?